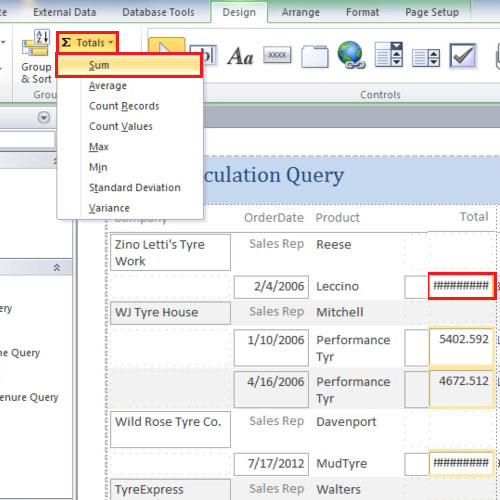 Add total columns in Access to help you with your data calculations. If there are mathematical calculations in your report, it is easy to analyze the performance. With totals and subtotals, you can compare each section with one and another. Reports in MS Access provide in-depth analysis of business performance. Total function helps in making calculations in Access. 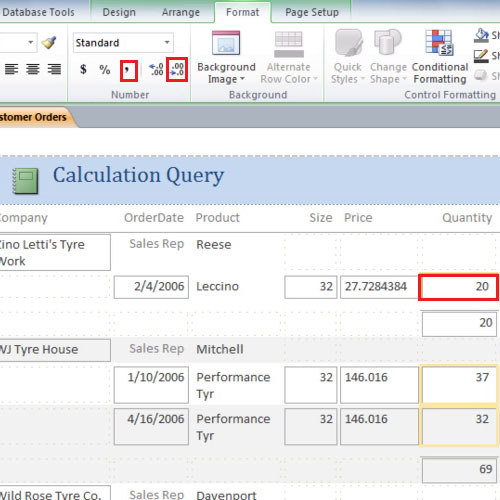 To apply totals to your data, right click on the customer order report and open it in the “layout” view. 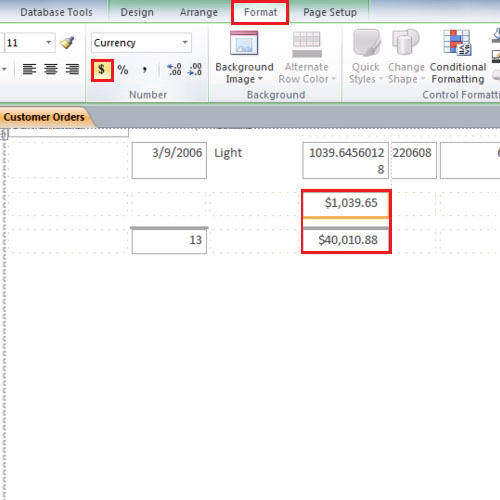 Click on the “totals” column before clicking on the “totals” button under the “design” tab. From the drop down menu, select the “sum” option. A subtotal will be added below every row. By doing these calculations in Access, it becomes easier to draw comparisons between two products. Scroll down and adjust the grand total field so that it becomes clear. Click on it, go to the “format” tab and click on the” dollar sign”. Click on the sub total figure above it and add currency to it as well. Now select the quantity section and then click on the decrease decimal button to hide decimal if there any in the quantity section. You can add decimals to the fields if you like, in the same way you can add the percentage sign, decimal addition or decimal reduction. It is useful to totals in Access which show the overall value of the data at hand. It is useful to have columns that show the overall value and sub sections to show values of independents sections as well. In MS access reports form an important part of the database. Reports in ms access are a quick way to get an overview of the tables, forms or queries on which the reports are made.